Filters are used in most industries, especially the water, sewage, oil, gas, food and beverage, and pharmaceutical industries. 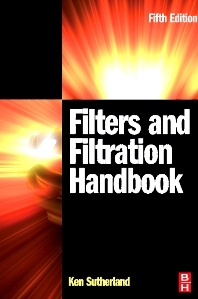 The new edition of this established title is an all-encompassing practical account of standard filtration equipment and its applications. Completely revised and rewritten, it is an essential book for the engineer working in a plant situation-who requires guidance and information on what’s available and whether it’s suitable for the job. Co-published with the Institution of Chemical Engineers. Co-published with the Institution of Chemical Engineers.